I’ve put my friend Sarah’s car to use the last few trash days. The power of internal combustion has allowed me to explore some new neighbourhoods that would otherwise be too far away. 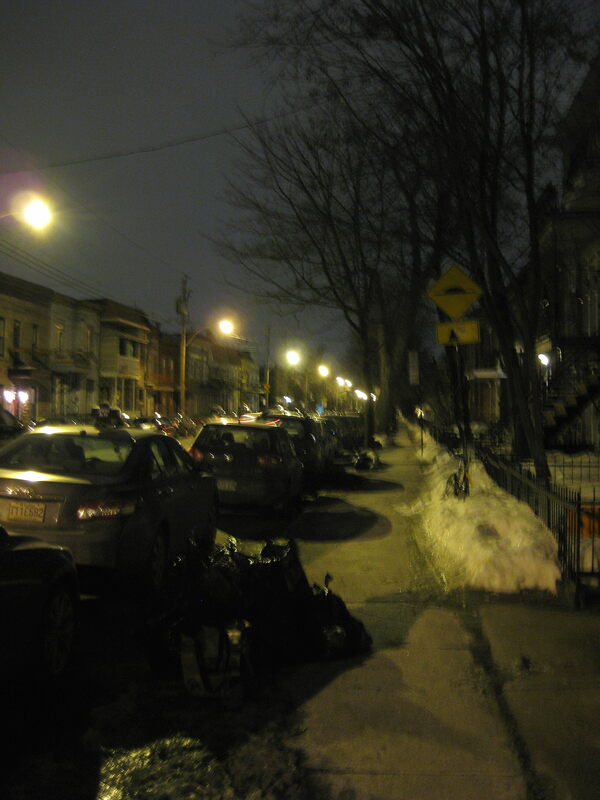 Yesterday we drove north to Ahuntsic and today I drove west to Hampstead and NDG. 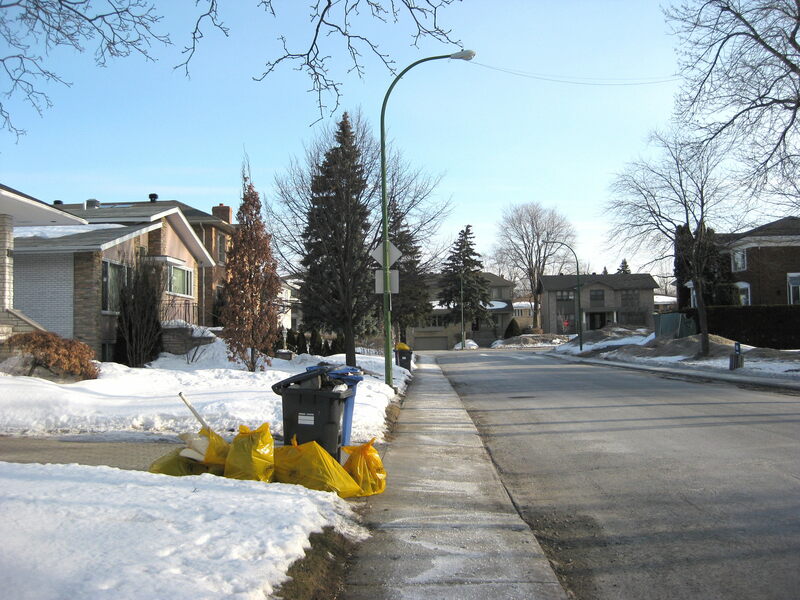 Ahuntsic was pretty dry. We found some useful odds and ends but nothing worth posting about. I did pick up these three cases of still-good orange juice – my room-mates have already drank a whole case! We’ll probably end up using the bottles for kombucha as well. On the way back I decided to cruise through a part of Rosemont that I knew had a trash day at the same time. That’s where we came across this nice old pine trunk. It needs a little love but it’s still a beautiful vintage piece. Sarah’s going to use it to store art supplies and other miscellanea. While walking on Monday evening I came across this pile on Clark. I took a number of things some of which I left at the Give Box on St Viateur (including a little plastic basket and a small table mirror). I brought home six watches, one of which I forgot to include in this picture. The best ones (at least in my opinion) are the two on the far right. 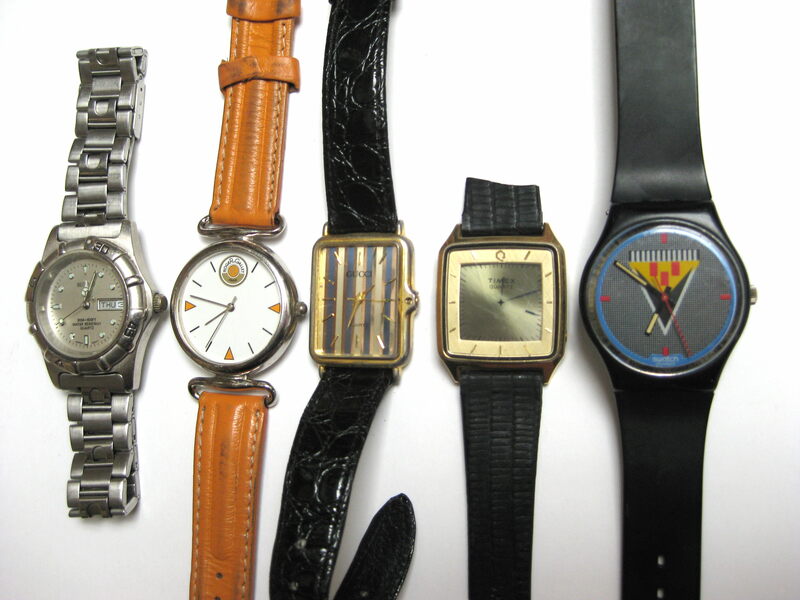 The second from right is an old LCD Timex which is cool because the dial face is completely LCD. The LCD hands definitely give it some vintage appeal, especially among those with a thing for the 80s. I’d probably charge 10$ for it at a yard sale, given that there’s some scratching to the crystal. I usually charge 5$ for a generic-type watch. The one on the far right is the most valuable, also due to its 80s vintage look. It’s a “Swatch” marked as being made in 1986 and featuring a pattern very reminiscent of the era. The Swatch brand is somewhat collectible; on Ebay they sell from anywhere to 10 to 300 dollars depending on the design. I found one with the same design as the one I found that sold for 50 USD (about 55 Canadian). Mine has a bit more light scratching on the crystal but I still expect it would sell for 40 or 45$. 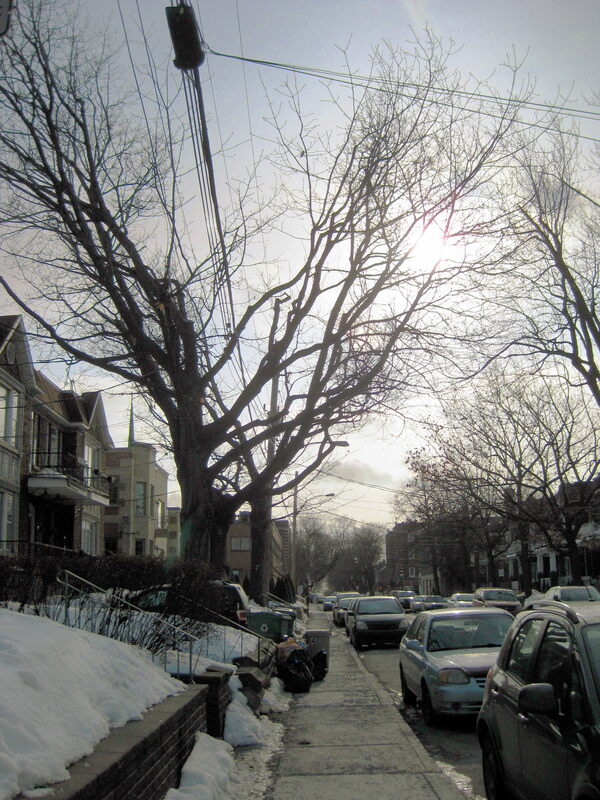 This morning I drove out to Hampstead and the eastern part of NDG. Hampstead wasn’t that great. 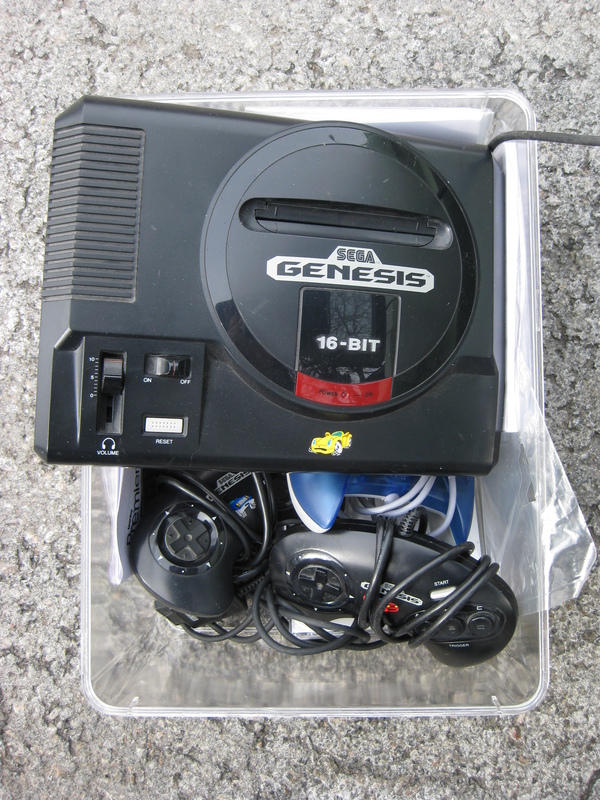 I did find a Sega Genesis with a couple of controllers in the pile above, however. I didn’t find the power cable unfortunately, though on the plus side it also seems to use a run of the mill AC adaptor which I come across fairly regularly in my travels. If it works it’s worth about 20$. I also found a bag full of nice old picture frames which I’m sure will come in handy. NDG was pretty dry as well but this spot on Marcil helped make my day profitable. Inside one of the bags was a nice little micro-bead purse and matching change-purse. 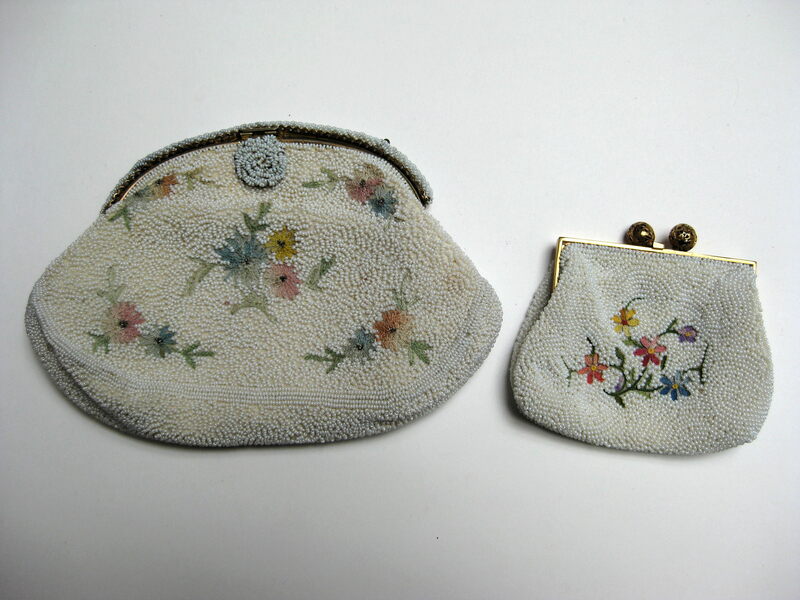 Inside the purse is a tag saying “hand made in France.” They look vintage and will definitely sell at a yard sale. 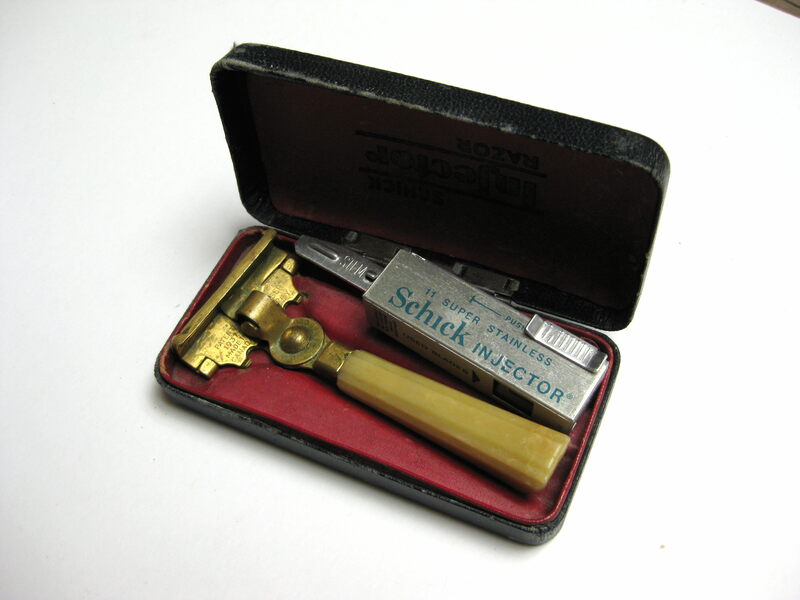 Also inside the bag was an old Schick Razor. It’s marked as being patented in 1937 and comes in its original box. Razors like this aren’t super valuable (10-20$ on Ebay) but they’re still pretty cool and won’t last too long at a yard sale. There were three more watches in the bag as well, meaning that in about 12 hours I found nine different watches! These ones are more modern and a bit more fancy. The Lacoste 2500g, assuming it works (as most quartz watches do, I just can’t figure out how to open the back) is worth a decent amount. I found the same model on Ebay selling new for 179$, with free shipping making the price more like 150$. Mine is in excellent if not perfect condition and if I can get a battery in it I’d put it on Ebay for 100$. On the left is a Skagen. They generally sell used for 30-40$ on Ebay but since the crystal is kind of scratched up it’ll relegated to the 5-10$ yard sale pile. 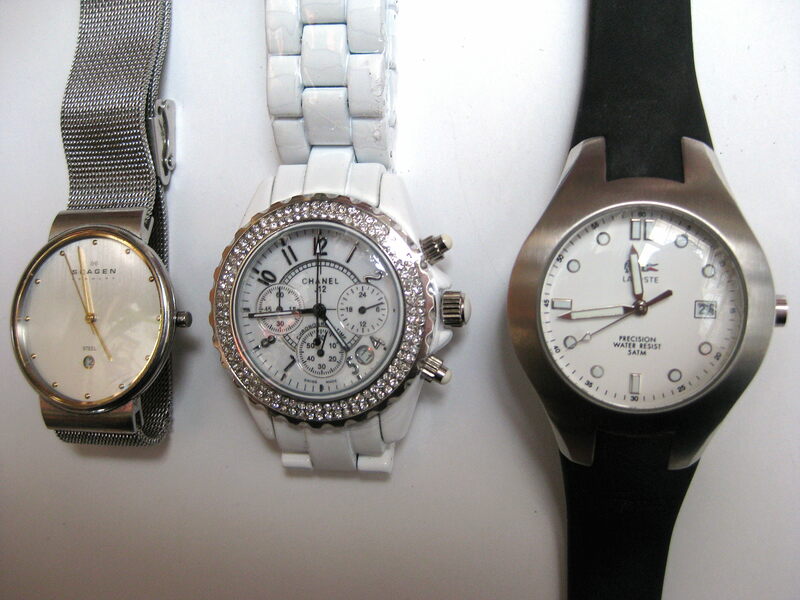 In the middle is a Chanel J12, or at least something that looks like it. If it were real it would have diamonds on the bezel and be worth thousands of dollars. It’s most likely a knockoff, however, though as knockoffs go this one is pretty high quality. I admit to fantasizing about it being real for a while! I have no idea what I could get for it, though it being pretty much brand new and still in plastic I figure I could get at least 20$ for it. Tomorrow I head off on my usual run to TMR. My hope is that last week’s mild weather and the nearing of the end of the month will bring some good finds. Wish me luck! Love your blog and love that chest! That is a beautiful micro-bead purse you found in NDG.You will sell it in no time.I am happy you went to NDG.Go there more often once the weather starts to warm up. Sweet trunk. 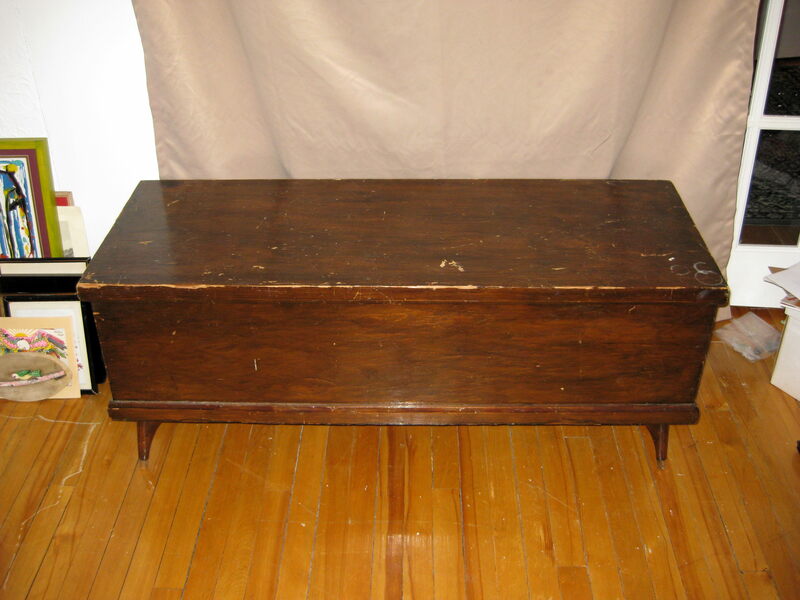 It would make a great coffee table too, or a good storage unit for blankets at the end of a bed. Also here’s a polishing kit you can buy (for the UK/Paypal/20-pounds) http://www.ians-polishing-kits.com/home2 … which might be a good investment if you continue in this business. 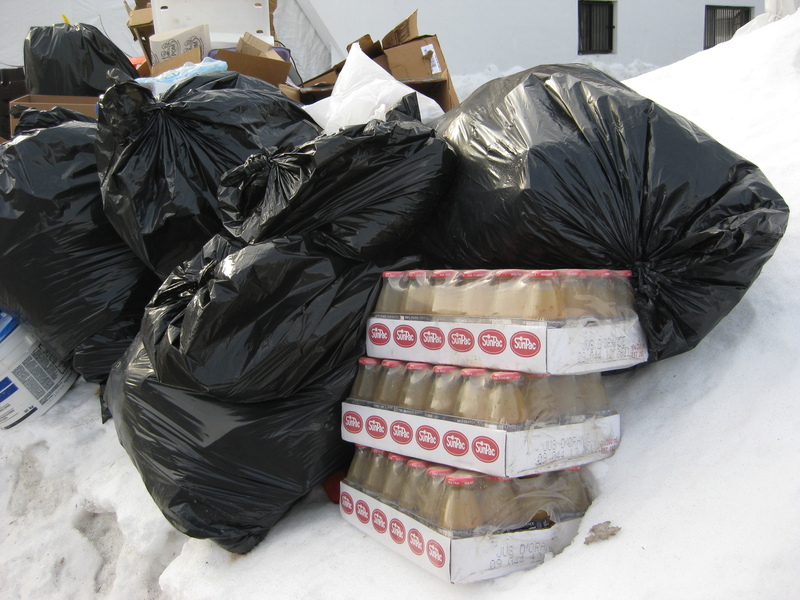 Congrats for salvaging all those bottles of orange juice in Ahuntsic.You will now be immune from scurvy for quite some time.